This is the fourth in a series of interviews with the 2016 ALPSP Awards for Innovation in Publishing shortlist. Laure Haak from ORCID tells us more about their work. ORCID is an independent non-profit organization that was founded by and for the research community. Our vision is a world where all who participate in research, scholarship, and innovation are uniquely identified and connected to their contributions across disciplines, borders, and time. We aim to achieve this vision by providing an open registry where individuals may obtain a unique identifier they may use with their name as they engage in research, scholarship, and innovation activities. We also provide open tools that enable transparent and trustworthy connections between researchers, their contributions, and affiliations. Recognizing peer review. Organizations may use ORCID iDs and APIs to more publicly acknowledge the contributions of their reviewers and editors. This functionality, launched in summer 2015, started with a CASRAI community working group co-chaired by ORCID and F1000 to define how to cite peer review, and developed into a pilot project collaboration with publishers to test out the data model and API-based workflow. Now, a number of organizations - publishers, funders, and system providers - are collecting ORCID iDs of reviewers and editors and, with their permission, integrating these identifiers with information about the review and using APIs to connect it all to the reviewer’s ORCID record. The information added can be very sparse (for double blind peer review) or complete (for fully open peer review) or anything in between. In keeping with ORCID's commitment to user control, an individual may make this information visible, private, or share it only with specific parties such as their employer or funding organization. It increases the visibility of - and ultimately, recognition for - the substantial contributions that peer reviewers make to the research process. Auto-Updating Researcher Records. In collaboration with Crossref and DataCite, we have worked with the publishing community to connect contributors and streamline the flow of information about journal articles and datasets from the point of submission to the contributor’s ORCID record. This not only significantly decreases the reporting burden on contributors but also creates an automated workflow for managing metadata updates from one source record. Connecting the dots has required work with publishers and data centers to ensure submission and production systems can collect ORCID iDs, and include them in their metadata deposits to Crossref and/or DataCite. In turn, Crossref and DataCite have worked with ORCID to create a workflow and notification service for ORCID record-holders to manage permissions for the update process. Now, authors and contributors need only use their iD when they submit a work, and provide permission once to Crossref and/or DataCite, and their ORCID record will be automatically updated with information when their work is made public. Auto-update was a huge collaborative effort and a big step towards our goal of 'Enter once, re-use often'. As a community-led organization, our projects involve a deep collaboration with the research community and across teams at ORCID - communications and support, technical operations, membership, back office operations, and strategy. For peer review, we engaged in a formal community working group process to define the data model for citing a peer review activity, tested this model with Early Adopters before launching formally, and spearheaded Peer Review Week to monitor community engagement and adoption of this functionality. For Auto-Update, we engaged directly with Crossref and DataCite to design and test notification processes and, through those organizations, with their communities to define processes for metadata deposits. These two projects illustrate how we can think - and act - beyond the traditional workflow “box”; in this case, of journal article citations. Review and indexing are critical factors in publishing but have typically been treated as “back office” activities. At the same time, the community is concerned about the decreasing participation in peer review activities, and the difficulty in maintaining metadata quality across the research ecosystem. Working with the community, we have created workflows that enable peer review activities to be cited - and that incentivize participation. Similarly, we have created workflows that enable interoperability between data systems - and sharing of high-quality metadata. These projects demonstrate how we help the community work together to innovate and build solutions for long-standing challenges in publishing - and other research - workflows. In addition to peer review and autoupdate projects, we are currently working with the community to support acknowledgement of contributor roles, to enhance the identity management process, to clarify the processing of unique identifiers in the article publishing process, to improve the identification of organizations, and have just launched a community project on use of ORCID iDs in book publishing workflows. 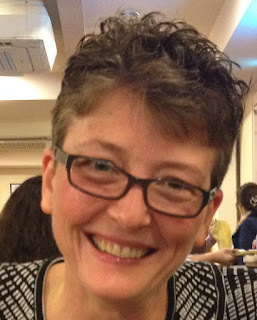 Laure Haak is Executive Director at ORCID. You can watch ORCID present during the ALPSP Awards for Innovation in Publishing lightning sessions at the Conference in September, where the winners will be announced. Further information and booking available online. The ALPSP Awards for Innovation in Publishing 2016 are sponsored by MPS Ltd.